On the 11th of August, I went on a spontaneous shooting star hunt with friends to try and see the Perseid meteor shower. It happens every year between July and August, but this year was supposed to be an extra good one. It's caused by our planet crossing the orbital path of Comet Swift-Tuttle. The rubble and dust from the comet crash into our upper atmosphere and set alight as we pass through, creating shooting stars. While the meteors shoot around all over the place, they all come from the same point in the sky. This is called the radiant of the meteor shower. With the Perseids, it's up and left a bit of the Perseus constellation (seen as three bright vertical stars) and underneath Cassiopeia (W shape of stars.) Thanks to this I now recognise the Perseus constellation too, which goes a way towards goal number 46 on the big list. I was planning on using the 60 second exposure setting on my camera to photograph the sky, but this is the best I got! I don't have a fancy camera or anything, just a little digital one. 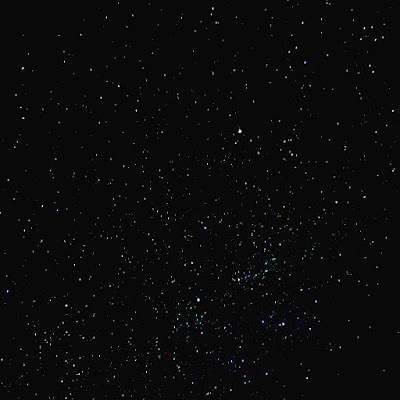 Each star in the image here is only a few pixels, and I had to turn the brightness and contrast way up to see anything at all. While we did see a lot of shooting stars, the sky was far too light to really sit back and gaze in wonder at the cosmos. This was due to a pretty bad recommendation (from someone that didn't turn up) that the Winchester science centre car park was a nice dark sky place. There was a festival going on in the next field, shining spotlights into the sky, and the car park was ringed with street lamps anyway. Despite that disappointment, it was great to just lie down on blankets with all my friends, talking and looking at the stars. We must have seen well over 50 in the couple of hours that we spent there. We ended up having a fairly intense discussion about the difference between asteroids, meteors, and meteorites. Asteroids from space fall through our atmosphere, becoming meteors, and then when they're stuck in the ground they're meteorites. I would love to find a little chunk of meteorite one day but I'd need help because I wouldn't know what to look for. 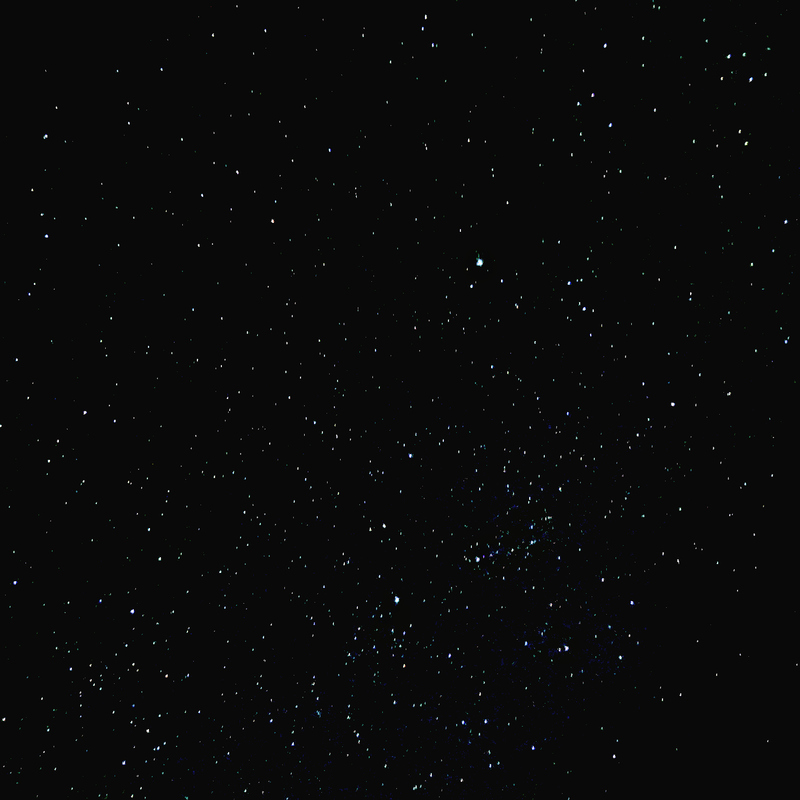 As always when I spend time thinking about space or looking at the night sky, I'm struck by how tiny we really are. It's a really sobering thought, in some ways happy and some ways sad. Now we know some things we didn't before, and next year we can find a nice dark place to see it better. I really encourage you to go have a look next year, as it's quite a sight. Go inspire yourself, see something memorable and spectacular!